Online reputation is something that businesses need to be worried about nowadays. In the past, you could get away with neglecting what people had to say about you; internet wasn’t that big or important back then. Additionally, there weren’t many places to go to for reviews about a company or business, and the sites that existed weren’t that busy given that people seldom went to them to find out what the general perception was. Today, in 2017, that idea is no longer valid. Consumers, both potential and faithful, will go to the internet to get an idea of whether a place is worth their money or not or whether its sound to invest in a company. In other words, online reputation has become a deciding factor in a consumer’s purchasing decision. It’s really that simple. With that in mind, companies have to be aware of what the word on the grape vine is and nowhere is it louder than on social media. Consumers have taken to social networks and review sites to express their thoughts on everything related to a company. From attention received to product quality, social networks have become an outlet for users to give their opinions, especially if they are negative ones. What this means is that companies now need to conduct customer service through social media. Therefore, a business has to pay attention to what is being said and for this task, they result to social listening. today it’s time to take a more in depth look at some of the tools or software that a company can use to keep tabs on what the world is saying about them on social media and how those tools will help them resolve customer issues. Without further adieu, here are three tools to monitor commentary on social media. For years, Hootsuite has been a leader in the industry when it comes to social media management. It’s one of the most complete social media monitoring tools out there. Through Hootsuite, companies can set up a social network posting calendar where they can decide what to post, on which outlet, and at what time without having to go to different screens. Additionally, they can organize contests and upload them to their different social media profiles when they think the time is right. If that weren’t enough, subscribers are also able to monitor the amount of mentions the company has across social media and how posts are performing. The previous will give them an excellent idea of what works with their audience and what doesn’t so that they can provide customer service before things get out of hand. Social listening is not just about monitoring social media profiles and answering; it also involves customer service over social networks. As of late, many companies have taken to social media to conduct customer service. 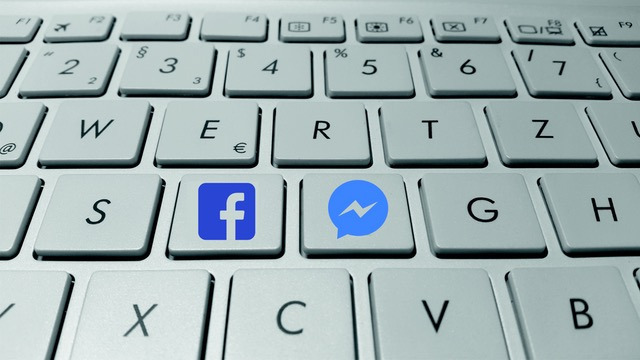 They want to be more accessible to their users and that’s why you are seeing more companies using Facebook Messenger or Twitter to handle their customers queries and complaints. That’s where Conversocial comes in really handy. Companies can maximize the efficiency of their customer service by automatically assigning tickets or queries based on the expertise of their agents or by being able to create threads that will keep all the information intact and show transparency over all processes. Furthermore, users will have the same agent all the time, no passing the ball from one agent to the other. Their analytics tools will help companies make decisions based on real-time data that lets companies know exactly what is going on across the social media universe. Finally, Conversocial monitoring tools help clients monitor mentions across different platforms so that they can put out fires before they even start. Even though Sprout Social has been around for less than a decade, it has become a leader in the industry. Of the different solutions offered by the company, two stand out the most: social media management and customer service. Sprout’s social media management tools can help a business stay on top of everything related to social media. Whether it’s publishing content, following its performance across the web, and receiving comments, Sprout Social is designed to make social media management hassle free. Then there is the customer service tool. It was made to integrate all channels of the customer service line. Through Social Sprout, companies can make sure that everyone involved in customer service is on the same page and that information flows in a way that no one will be misinformed. Customer service has transcended beyond the 1-800 line. Social media has become a major player in helping companies resolve consumer issues. Thus, having the right tools to monitor customer service on social media is key to the success of a company. Not paying attention to what is being said on social networks and dealing with those comments could set a company back in ways they can’t fathom. It’s time to take customer service to the next level and protect online reputation at the same time.